UNESCO CHAIR CONVENED A LECTURE ON THE CHALLENGES OF HUMAN AND WOMEN RIGHTS AT THE FACULTY OF EDUCATION FOR WOMEN. 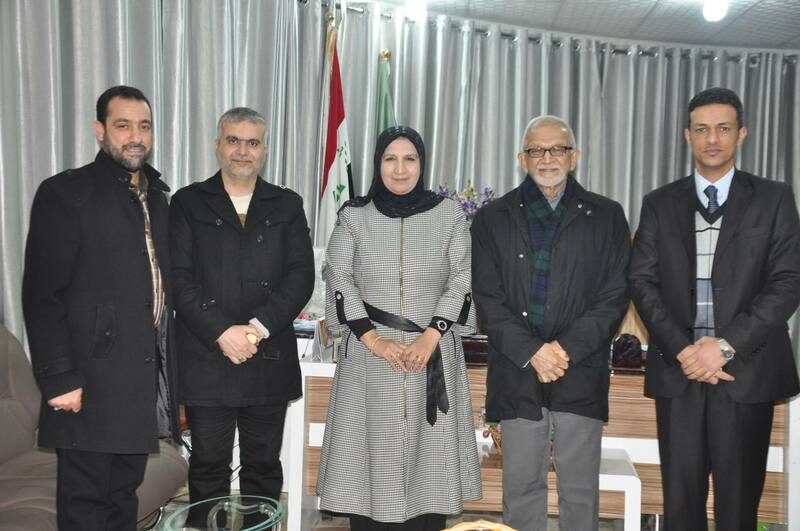 The UNESCO Chair for the Development of Inter-religious Dialogue Studies in the Islamic World convened a lecture on challenges of human rights and women’s rights according to the Islamic faith in collaboration with the faculty of Education for Women, on the 29th of November 2015. Professor Abdul-Aziz Sachedina presented his lecture with a series of questions on civil liberties according to the Islamic faith, such as does Islam allow basic liberties? Is there a need for the Arabs to understand the rights of women in Islam? He continued to discuss that this can be founded on our understanding of the Quranic text and that the interpretation of the Quran is built on modern consciousness and not of old archaic traditions. The professor argued about the significance of using our senses to decipher of what is right or wrong according to the mind, instead of using the two conceptual arguments of halal (lawful) and haram (unlawful). The Dean of the Faculty of Education for Women Professor Eman Abdul Malik Al-Hilo concluded the lecture on the importance of human and women rights and that she will see to it that a module on the rights of women will be established and integrated into the curriculum.